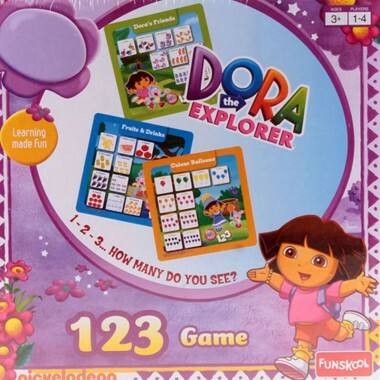 Funskool Dora 123 Board Game Here comes Dora to help kids learn to count, identify colors, match objects and take turns playing a game. 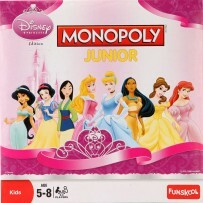 Dora 1 2 3 Game is a board game with tokens that should match with those on the board. The first to have ten such matching tokens on the board is the winner.